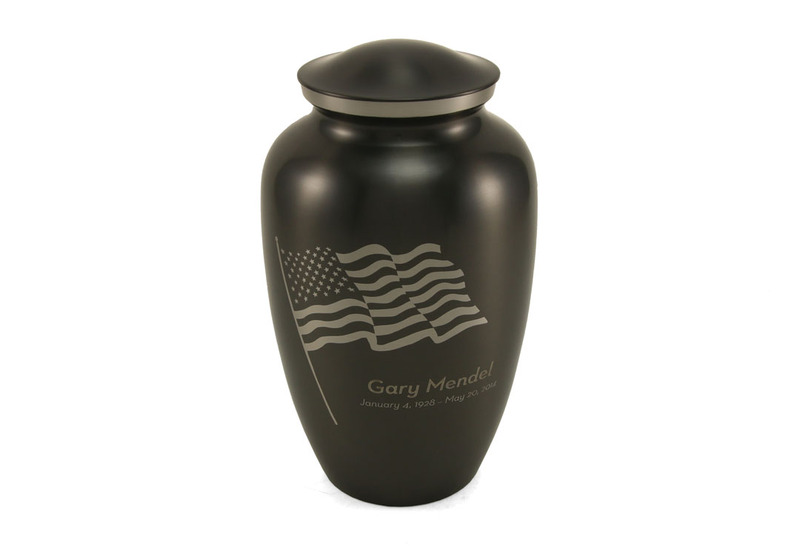 The Classic Flag Collection includes two distinct finishes: one has a high gloss pearlescent finish and is decorated with a full color flag; the other has Terrybear\'s signature slate finish and includes a pewter flag image (on the full size urn only). The slate keepsakes do not include a flag image due to the nature of this handcrafted process. 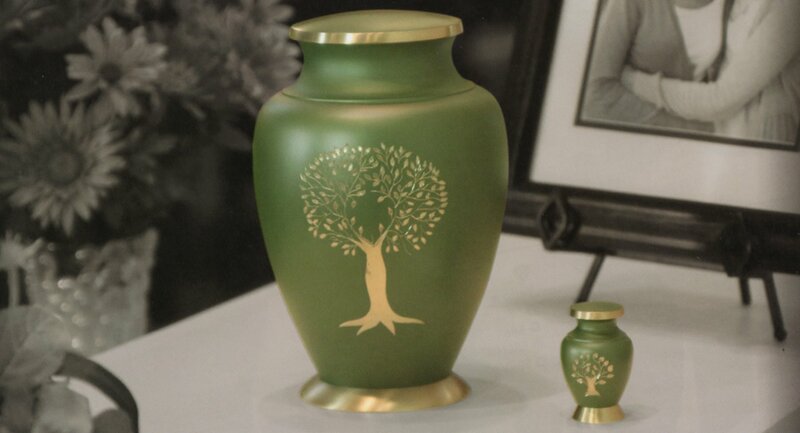 Personalization adds a nice touch and all pieces in this collection are suitable for engraving.